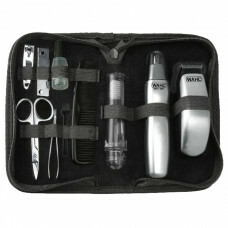 Detail Specifications: Wahl 3275 Travel Gear Kit W/ Toiletry Case-12Pc. 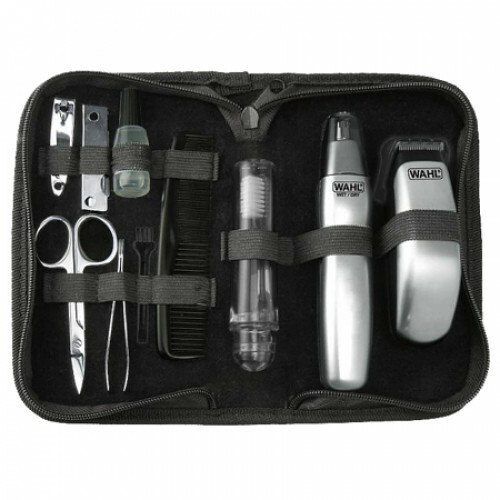 -Travel trimmer for sidburns, necklines and moustache trimming. -Portable rotary trimmer head for nose & ears. -Wet/Dry rinsable stainless steel blades. -Includes Nail Clipper and Tweezers. -Includes both a trimmer and detailer. - 6 Position Adjustable Guide.